I completed my walk of 1800 km back in November 2013. Had a great welcome back in Cologne Zoo. Very pleased with the coverage and the funds we raised for various rhico projects (Save African Rhino Foundation in Australia and Cologne Zoo Swaziland project in Germany). 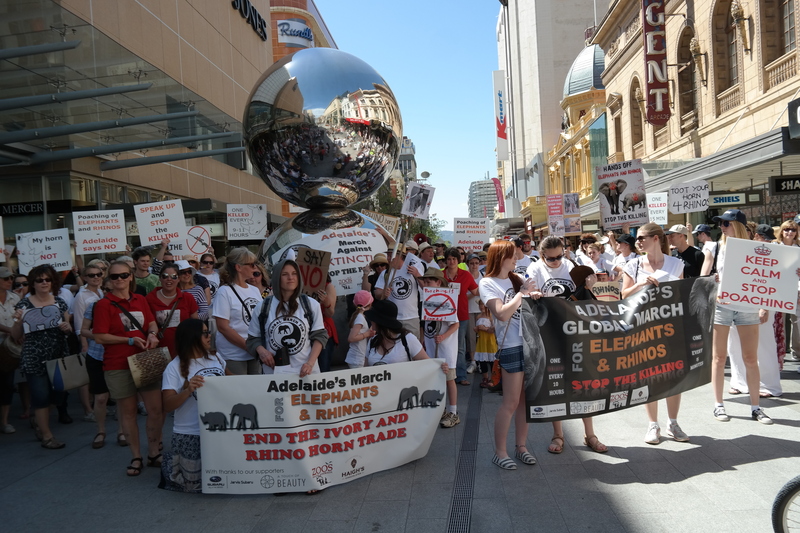 Last year (2013) I reported that I marched in Brussels for the annual Global March for Elephants and Rhinos. This year, today in fact, I marched in my home town of Adelaide , South Australia. I believe there was 500-1000 people marching of all ages. It was great to see such passion and support for our endangered wildlife. 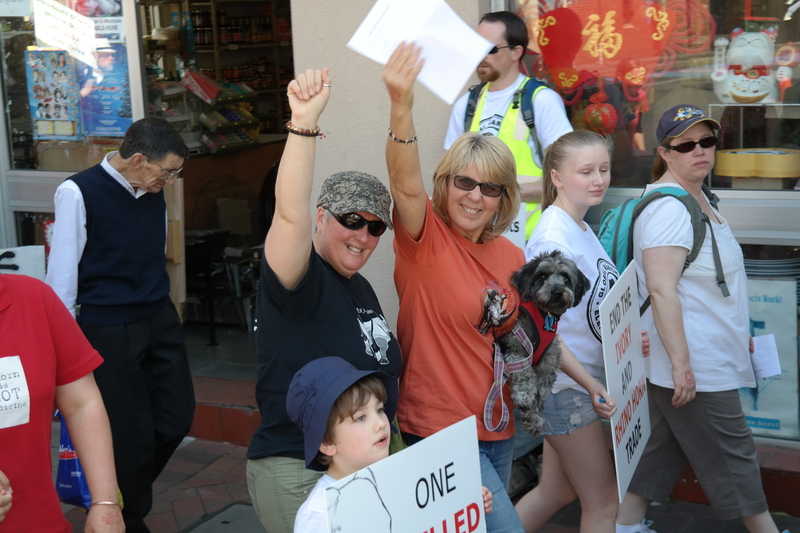 The march started in Chinatown , which was quite symbolic and deliberate. We went through the city to the zoo, where we had some great speeches by the organisers, conservationists and the Zoo CEO. 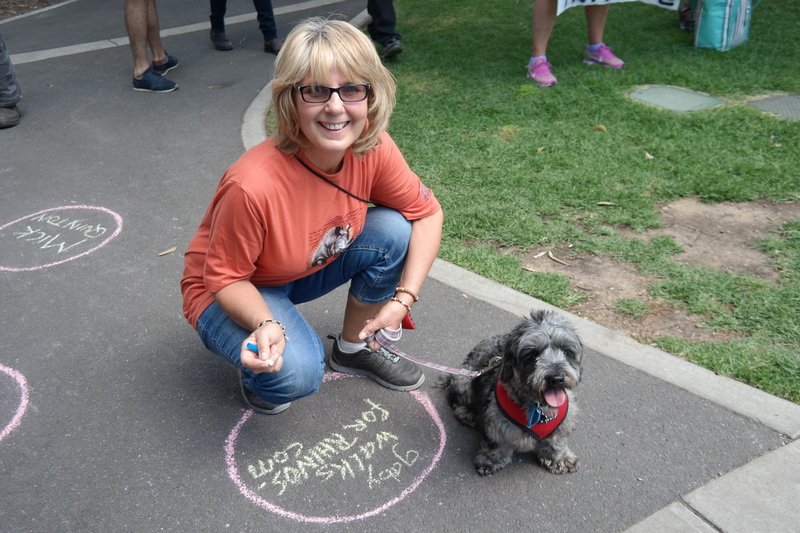 There were chalked footprints of endangered elephants and rhinos, which people then wrote there names in to show support (at least until the next rain!). Please, Please, Please keep fighting for the survival of these magnificent creature. My long walk may have finished, but I will continue in many ways to raise money and raise awareness and fight.